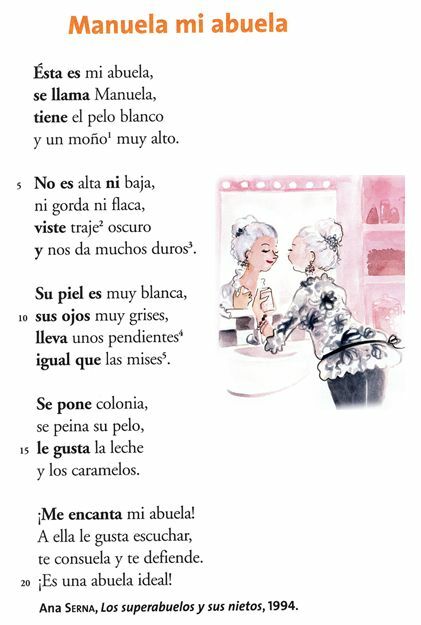 Listening/comprehension: I told the poem “TPRS style” by drawing the “abuela” on the board little by little, following the poem description. 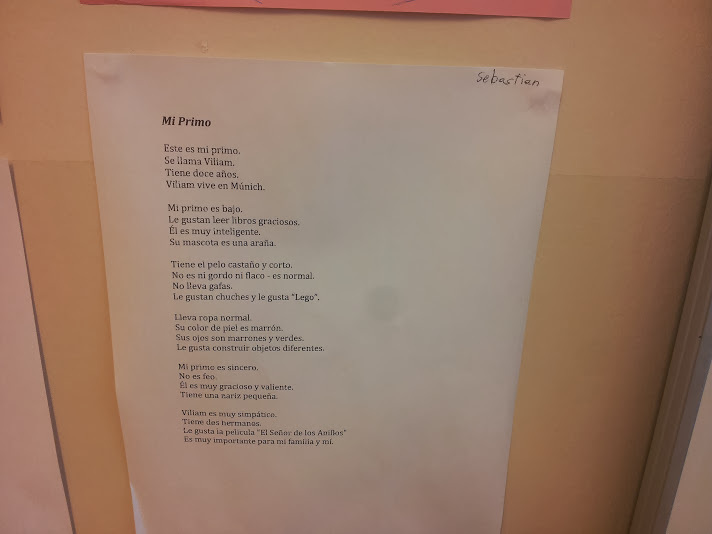 There was a lot of repetition as I kept asking my students “¿Cómo se llama la abuela?“, “¿Cómo es?“, “¿Cómo tiene el pelo?“…. 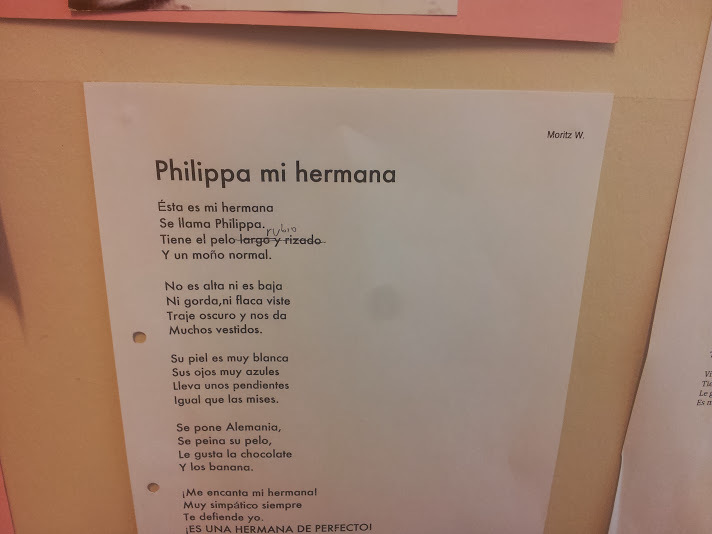 My students also learned new words and expressions such as “los duros“, “la colonia“, “te consuela“…. 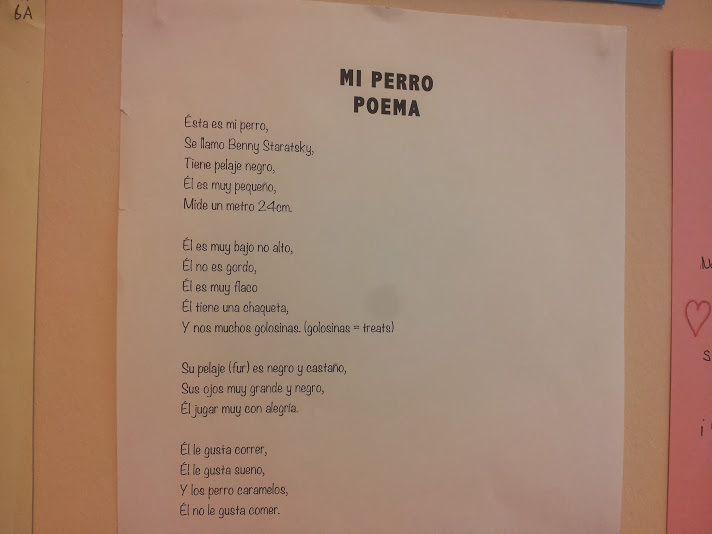 Reading/speaking: I then handed out the poem to my students and I read it again as they followed the text. Students then worked in pairs: one would read the start of a verse while the other one would finish the verse without reading the poem. The objective was to memorize the structures as well as focusing on pronunciation. 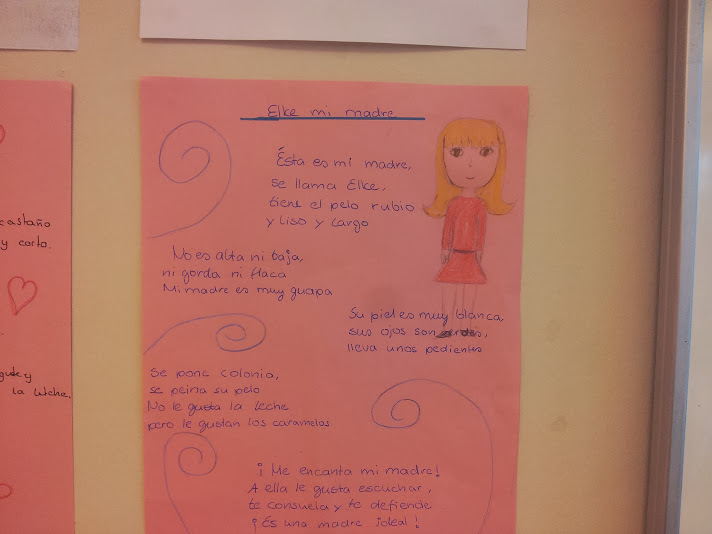 Another activity was to change some of the words in the poem, i.e. 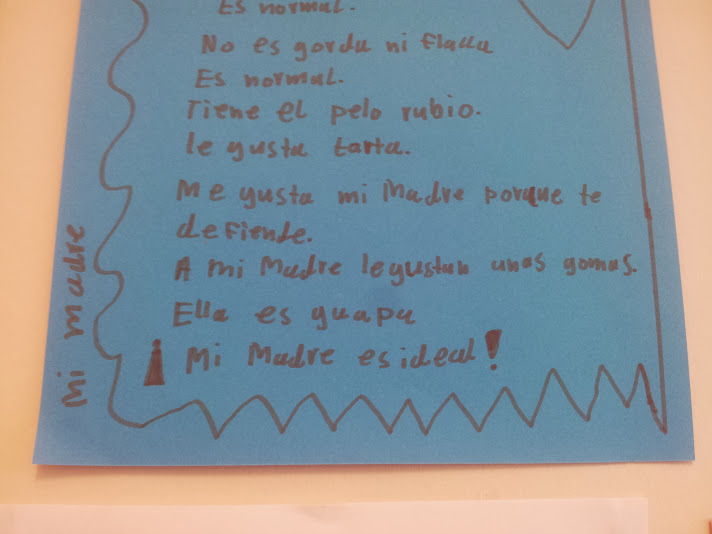 instead of “mi abuela“, “mi madre“. < How to use stories written by students? Es una idea exelente Alice. Gracias!